John Symon Asher Bruce (14 May 1943 ? 25 October 2014) was a Scottish musician, singer and songwriter known primarily for his contributions to the British supergroup Cream, which also included the guitarist-singer Eric Clapton and the drummer Ginger Baker. In March 2011 Rolling Stone readers selected him as the eighth greatest bass guitarist of all time. "Most musicians would have a very hard time distinguishing themselves if they wound up in a band with Eric Clapton and Ginger Baker," the magazine said at the time, "but Jack Bruce was so gifted on the bass that he did it with ease." I said an incorrect thing about Jack Bruce in my appreciation written after he passed. Not incorrect but inadequate. I wrote that Jack, along with The Who?s John Entwhistle, invented the bass lead in rock. 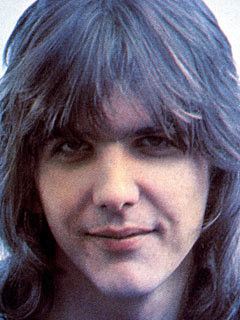 That?s not necessarily wrong but the more important point is that he was central to the creation of the bass-lead guitar duet. All of us forever mesmerized by the live version of ?Crossroads? know what I mean. Bruce wasn?t just keeping up with the outrageous combination of Clapton?s speed and virtuosity, he was matching it, note for note, bar for bar, stanza for stanza. It?s incredible. I think bands and bassists could write out the notes, listen to it a thousand times, hone their skills to a high level and still not get it right nor understand the creative source from which it sprang. Caught in performance or in studio, the body of work approaches perfection. Of course, for me, that is Cream, close to perfection in its parts and in its whole. Bruce was central to the writing of most of their songs, combined with Ginger Baker to produce an ongoing war of a genius rhythm section. And his work with Clapton is unsurpassed. 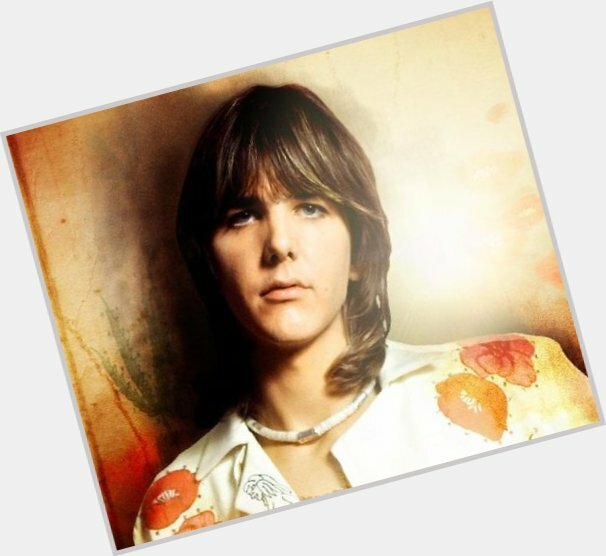 Welcome to the blog which is devoted to exploring the physical beauty that was Gram Parsons. The fact that I've chosen to focus on his appearance is in no way meant to detract from the importance of his music, which as most GP fans know, continues to influence and mesmerize decades after his death. Please enjoy and feel free to comment. Check out the Welcome post for more details. As promised, my first installment analyzes Gram Parson's eyes. First questions first. What color are they? Seriously. Does anyone know? Color aside. I've never seen eyes quite like Gram's. His strong and downward-sloping brow creates a sorrowful, 'lost puppy' look, which is then offset by an intensity created by his eyes' proximity and his prominent nose bridge. The result is captivating' a mix of childlike innocence and a sexually-charged knowing stare which simultaneously obscures and reveals the pain just below the surface. But there is an interface between the physical and the emotional. Looking at him, the first thing you notice is mellowness, happy-go-lucky flirtatiousness, perhaps intentional' a result of his experience as an entertainer, perhaps just a natural part of his amorous and easy-going personality, or perhaps a mask. 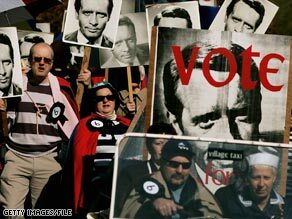 Patrick Joseph McGoohan (19 March 1928 ? 13 January 2009) was an American-born actor, writer, and director who was brought up in Ireland and England. He began his career in the United Kingdom in the 1950s, and relocated to the United States in the 1970s. His career-defining roles were in the British 1960s television series Danger Man (US: Secret Agent) and the surreal psychological drama The Prisoner, which he co-created. McGoohan was born in Astoria, Queens, New York City, the son of Rose (Fitzpatrick) and Thomas McGoohan, who were living in the United States after emigrating from Ireland to seek work. He was brought up as a Catholic. 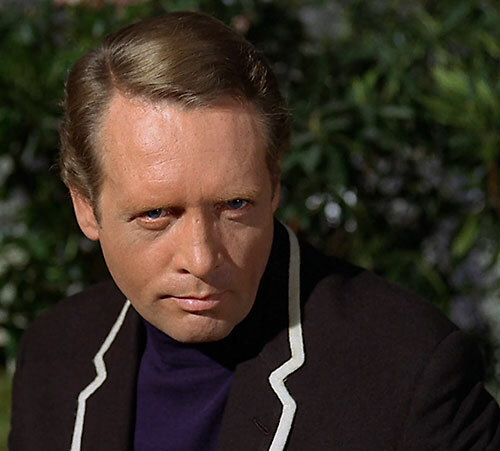 Shortly after he was born, McGoohan's parents moved back to Mullaghmore, County Sligo, Ireland, and seven years later, they emigrated to Sheffield, England. McGoohan attended St Vincent's School and De La Salle College in Sheffield. During World War II, he was evacuated to Loughborough, Leicestershire. There he attended Ratcliffe College, where he excelled in mathematics and boxing. McGoohan left school at the age of 16 and returned to Sheffield, where he worked as a chicken farmer, a bank clerk, and a lorry driver before getting a job as a stage manager at Sheffield Repertory Theatre. When one of the actors became ill, McGoohan was substituted for him, launching his acting career. The protagonist?s name is never given. He has been called ?the Prisoner? based upon the show?s title and plot. He?s often designated by the code ?Number Six?. Height: 6?2? Age: 39 during his stay in the Village. Emmy-winning Patrick McGoohan, the actor who created one of British television's most surreal thrillers, has died aged 80, according to British media reports. Patrick McGoohan's allegorical 1967 television series is studied, analyzed and discussed by our worldwide society of individuals. Get much more out of watching the series by becoming the newest member of Six of One. Start receiving our highly-praised publications, including the only regularly published magazine in the world devoted to The Prisoner. Read exclusive cast and crew interviews, see rare behind-the-scenes photos, share your thoughts with fans worldwide, learn from Six of One seminars, get the latest Prisoner news, download exclusive FREE computer screen-savers, and be eligible to attend our Conventions in Portmeirion - where the series was filmed. Our society headquarters is in England, and we have long-time representatives in France and the United States. Members around the world receive our packed mailings which include our glossy color magazine - along with our other publications, inserts, brochures and special exclusive members-only offers. By supporting us with a membership, we can continue to work hard for Prisoner fans everywhere. Six of One is officially recognized as the only worldwide appreciation society for The Prisoner television series and is operated solely with the co-operation of Granada Ventures, Portmeirion and many others closely associated with this remarkable program. Be seeing you! I am not a number, I am a free man!" 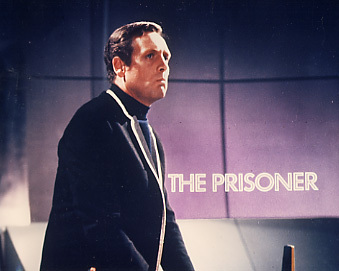 Patrick McGoohan's character Number Six shouted at the panoptic eye in the sky at the beginning of every episode of the revolutionary '60s sci-fi TV series The Prisoner. And although the character would come to dominate McGoohan's life and even chase him out of London following the series' controversial 1968 finale, "Fall Out," McGoohan is a prisoner no longer.